Hollins is a unique but amazing experience. 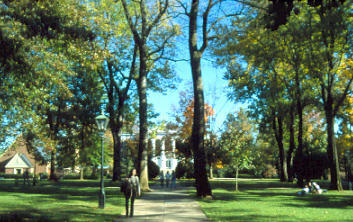 As a recent graduate, I am proud to have attended Hollins. The faculty is super helpful; I never had any difficulty reaching a professor with questions. The student body is very involved in campus life. There are endless clubs and activities, so everyone finds their place on campus. Our traditions are ridiculous but so much fun! Plus, the campus is gorgeous. Nothing beats walking around the loop. I can't wait to come back for reunion!